I began building planning blogs for municipalities in 2007 when very few of us were “out there” testing these new ideas and tools. It was an exciting, and somewhat lonely, social media world for planners, urban designers, and other community builders. Take a few evolutionary and revolutionary steps forward to today and I am happy to see a world with previously unimaginable tools, networks, and possibilities supporting a significantly larger community with compatible interests. 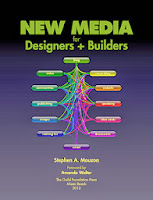 Always seeking new perspectives on the continuing challenge of integrating my professional planning/design work with better communication techniques, I was interested in reading Stephen Mouzon's New Media for Designers & Builders. It is exceptional; in its breadth, clarity, and practicality. The immense amount of information that confronts the reader in New Media is by no means daunting. Stephen has taken the care to craft a book that covers incredible amounts of information while avoiding overly theoretical or technical discussions. He speaks to the needs of his audience by providing examples that are adaptable and actionable. New Media also describes the evolving shift to new ways of thinking, and provides direct links to other community builders that are walking the talk and making it a reality. What I particularly enjoyed is that through his examples and references he has interwoven the worlds of planning, urban design, and architecture with those of other leaders in the New Media. He is not asking his readers to act like magpies flitting from one shinny object of technology to the next as if that would provide meaningful support. 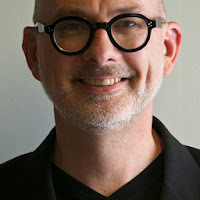 Instead he also takes care to illustrate how the more traditional media of speaking, publishing, and photography can be re-imagined in the New Media world as part of an interconnected strategy for designers. In my opinion, Stephen’s most profound achievement with New Media for Designers & Builders is its subtext. 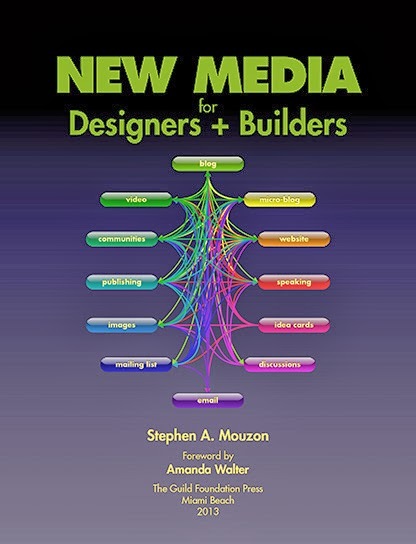 Like no other book, New Media describes a way of designing and building an interconnected approach to communication and one’s practice using all media, old and new together. Which I believe may come from his own design sensibilities as an architect; where our best work originates by learning from history and building upon that heritage to create contemporary designs that are respectful, creative, and effective. Rob, New Media for Designers + Builders has gone live on iTunes and there's a Kindle version as well. Anyone who has an iPad should get the iTunes version because the iPad interactive books are far more fun than regular e-books could ever be. Also, please feel free to leave a review there if you like. CIVIC BLOGGER is about sharing information on Planning, citizen engagement, design, and organizational development. This is not about simply informing PLANNERS, POLITICIANS & the PUBLIC, but empowerment with tools that can steer outcomes. CIVIC BLOGGER discusses difficult issues and questions, and in the process hopefully changes professional practices and communities for the better. CIVIC BLOGGER originates from diverse involvement with local, county and State and Provincial governments as well as from private practice in Canada and the United States. 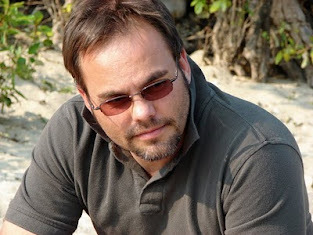 Robert Voigt is a registered professional Urban Planner (MCIP, RPP), Artist and Writer, specializing in citizen engagement; healthy community design; placemaking, municipal economic development; and, action plans. He has published articles and spoken at dozens of conferences on these issues. He is a recognized thought leader for his profession and brings a design thinking approach to his work; a problem solving methodology founded in observation, storytelling, and experimentation. He is Chair of the OPPI Planning Issues Strategy Group; member of PPS' Placemaking Leadership Council; Contributing Editor to the Ontario Planning Journal. He holds both Masters and Bachelor degrees in Planning and has been a practicing Planner for over 20 years in numerous governmental and private organizations in Canada and the US. His animated paper craft videos for OPPI are the first of their kind, and the first international collaboration work being featured by the award winning Art VULUPS project. They have been translated into German, Polish, and Spanish and featured in film festival and university programs. Internationally recognized active transportation expert Dan Burden has called the Urban Design Manual he developed for Collingwood as "one of the best in North America". Robert is a dynamic and entertaining speaker, presenter, and workshop facilitator. He is often invited speak at local, national and international events on urban design, community engagement and active transportation. Over the past three years he has done over 25 conference presentations and sessions.